The raging waters from the Chalakudy River following the mid-August deluge had rendered many homeless. THIRUVANANTHAPURAM: The raging waters from the Chalakudy River following the mid-August deluge had rendered many homeless. Soon after the flood, the overflowing river, however, dried up in many areas with sand beds surfacing, without even leaving a trace that it had sunk many parts of Thrissur district just hardly a month ago. It is a measure of the vulnerability of the river to serious risk. And it will remain so if the present system of water flow is allowed to be continued. A study conducted on environmental flow modelling using ‘Flow Health’ of the Chalakkudi sub-basin, by Sudheer Padikkal, joint director, Water Resource Department, Palakad, has found that the river still needs an additional 92Mm3 water annually to retain a healthy river ecosystem of Chalakudy sub-basin, which is an over-abstracted river basin with six large dams built across its different tributaries. The report, published in the international journal Ecohydrology & Hydrobiology, states that during the January-May period, especially from February to April, the river basin has no natural flow to maintain the health of the river or its ecosystem. This is mainly due to the Chalakkudi basin’s hydrologic alteration caused by PAP agreement. “Its present status of flows indicates large deviation from the pristine condition of the river. The challenge lies before the government is that any direction to ensure the e-flow of the river can be made with the concurrence of Tamil Nadu, as four out of six dams built across the tributaries of the river are maintained by them. So the e-flow of the Chalakkudi sub-basin can be ensured with the revision of PAP’s water sharing terms with proper accounting for the e-flows requirements,” he said. S P Ravi of the Chalakkudy River Protection Forum said e-flow design and its implementation is critical in conserving the river basins. 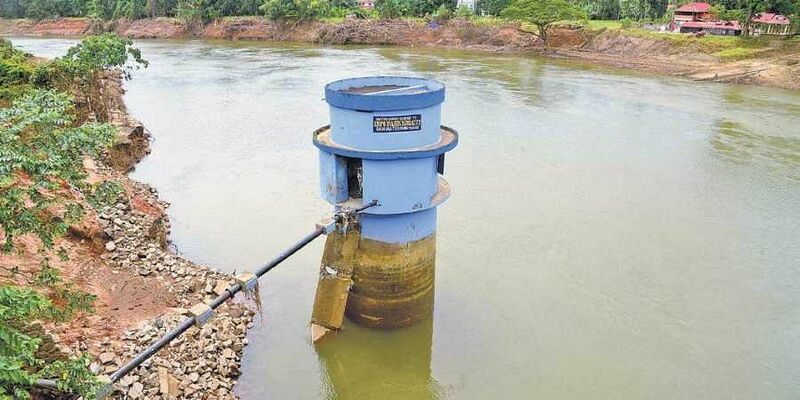 The Forum will raise the issue and campaign for holding studies to prepare e-flow design and its implementation in other rivers such Bharatapuzha, Periyar, Pampa, etc. along with the Chalakudy River as it is an integral part of modern river management and its restoration processes, he said.